Compact, light and equipped with features for enhanced mobility, the XA55 and XA45 enable crisp 4K video quality while on the go. 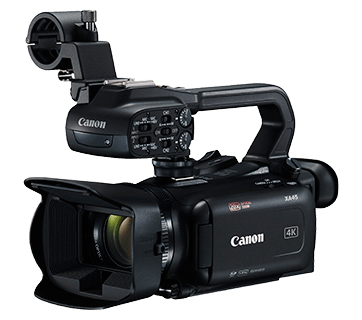 SINGAPORE, 2 April 2019 - Canon today announced the launch of two new XA series professional-use camcorders capable of capturing video in 4K 25/30p — the XA55, equipped with a 1.0” CMOS sensor for high image quality; and the XA45, a compact, lightweight model with a 1/2.3” CMOS sensor. 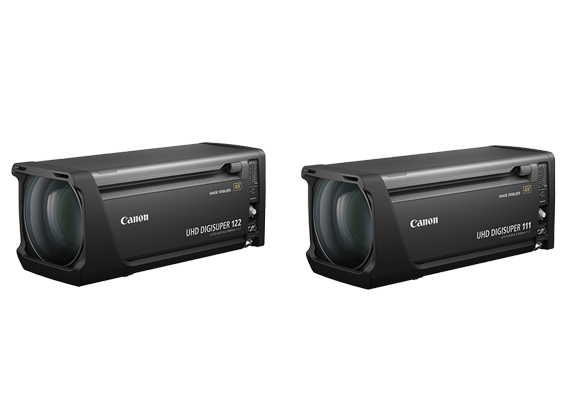 The newly-announced XA55 and XA45 are the first models in Canon’s XA series capable of capturing 4K video. 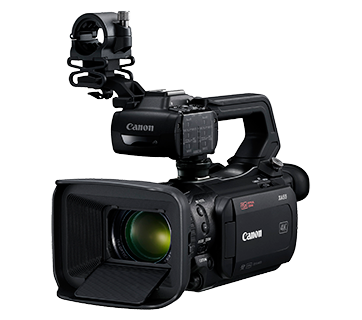 Canon’s XA series of camcorders are designed for professional use and keeps in mind the high degree of mobility required for on-location videography in fields such as broadcasting, reporting, documentary and event shooting. With its 1.0” CMOS sensor, the XA55 delivers the high image quality and imaging performance required to support professional users, while the compact and lightweight XA45 realizes superb mobility and operability ideal for both professional and enthusiast videographers. 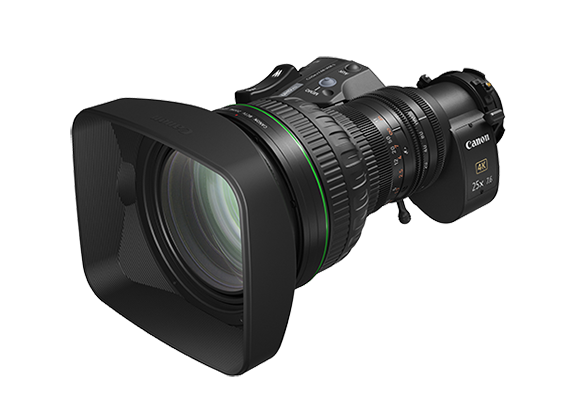 The XA55 is equipped with a 1.0” CMOS sensor — a first for the XA series — and a DIGIC DV 6 image processor, along with a 4K-compatible 15x optical zoom lens that optimizes 4K 25/30p image capture across the entire zoom range, from 25.5mm at the wide-angle end to 382.5mm at the telephoto end1. With Canon’s Dual Pixel CMOS AF technology, the XA55 achieves smooth, high-performance autofocus and subject tracking during shooting. Even during 4K shooting, when high-precision is crucial, intuitive touch panel operations enable quick and accurate focusing. The XA45 features a 1/2.3” CMOS sensor, a 20x optical zoom lens and a DIGIC DV 6 image processor, all in a compact and lightweight body measuring approximately 131mm (W) x 180mm (H) x 231mm (D) and weighing approximately 1.13kg2. 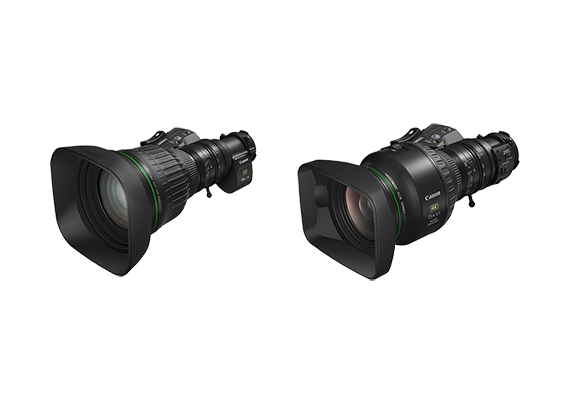 In addition to 4K 25/30p video capture and the large zoom range of 29.3mm at the wide-angle end to 601mm at the telephoto end1, the XA45’s Over Sampling HD Processing function effectively utilizes data acquired by the 4K imaging sensor to record full HD video with even higher image quality than its predecessor, the XA30 (released in December 2015). In addition to the XA55 and XA45, two sister models will also be released. The XA50 is the sister model to the XA55, maintaining all of its features with the exception of the 3G-SDI port. Similarly, the XA40 is the sister model of the XA45. At a lower price point, the XA40 excludes the 3G-SDI terminal creating even more value.